How to boost website Traffic fast: Are you still trying to get huge traffic to your blog or website? But not getting that amount of traffic what you are wanting! I am assuming you have good content on your blog but not getting more readers to read your blog content. What things i am missing? Yes, you might be missing something. It is not all to throw away some content on your blog or website and keep waiting for more traffic to come on and read your blog content. You need to make sure that are you not missing some of these common fact like- is your blog is mobile friendly, is your blog is well designed or more responsive etc. You should not neglect these if you are serious to get more blog readers. You can see that there are so many people use smart phone for browsing internet. They fell some easy to browse online by smart phone or tablet and it is increasing day by day. Think a while how much traffic you are missing if your site is not mobile friendly. Because, making website mobile friendly will make your site more visible to more mobile users. To make your site mobile friendly you need to make mobile application for your blog or website. There are so many application developer you can find at a cheap price by searching on Google. So, for better ranking on the SERPs and for getting Huge traffic to your blog daily you should not miss this great opportunity making your site mobile friendly if you are serious! It is more important to make your site Design more attractive. Because, readers does not love to visit ugly designed site. They do not feel comfort visiting such kind of crazy designing website or blog anymore. A good looking designed website make blog readers to stay long time on your site. Always try to Make easy to navigate your site to readers. So, keep your blog design simple and clean. Do not feel your site with more advertisement. Design your website in such way that looks like so much professional. You must have to speed up your site’s loading time as much as possible. If your site’s loading time is very fast then you can expect awesome results on ranking as well as to get more traffic to your site. If your blog takes too much time to load then you are loosing too many traffic which is a bad sign for a site. You know that traffic does not love sites which takes much time while loading. So, it is wise to improve your website loading time as much as possible. 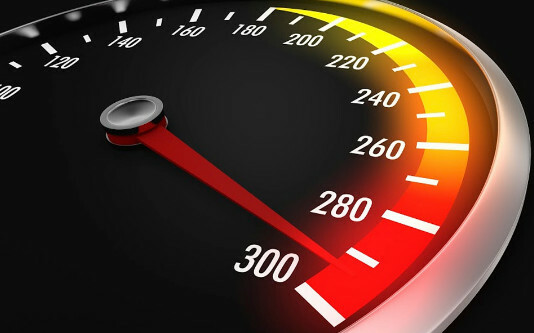 Generally you can speed up your blog loading time by hosting your site on Fast hosting server. You will find so many hosting service where they will provide you good service. One of my fellow blogger Robert, have an article about the best wordpress hosting reviews, you can check that out! So, try to host your site on Good hosting server and also try to use less plugin on your site. Because using too much plugin on your site is also a fact for slow loading. To get more exposure of your blog in online you need to make blog or website more shareable to your blog readers. It is a good idea to place share button on front where visitor look and feel free to share your content and blog too. I was not aware about that before when i started blogging. I read so much article telling that to make more easy to share blog. You can use plugin like dig dig Word-press plugin on your site and it’s features are so much awesome you can see it after installing. You can even find more plugin by searching on google. I think if you follow some of these effective tips you can get good results. You might know that traffic is the heart of a site. And to get more blog traffic daily you need to work hard. Again, getting returning traffic is not an easy work. So, it will be better if you do some of thing for your blog and make it more professional if you wish to boost your website traffic fast! Anyway, please do me favor by sharing this article with your friends. Tell me what strategy you follow to boost your blog or website traffic fast now days? The first ever great thanks for giving the best article about boost my website traffic. I am newer is this blog filed I will try your 4 killer tips I hope I will benefit more in the future. I am new to Blogging field. Thanks for sharing this beautiful information with us. I am using some of this tips already, now will implement all the tips in my blog to get better traffic. This is indeed a wonderful and informative piece you have created here. Lot of information to pick and apply. Thank you very much for sharing this valuable tips and links in this post. It’s my pleasure that you love my blog! Yes, i am always helpful to every newbie blogger. Definitely, if you implement all these tips correctly you can boost your website traffic. I am going to check your site and let you know about improvement of your site. Keep visiting my blog, i am trying to publish new article everyday. This is why I love this website. You are always there to help me at every point. Am a blogger too and looking for such tips and tricks so I can attract more readers to my website. Thanks for providing such a great article. I’ll make sure to use all these tips for my own blog and and am very sure that these tricks will boost my website traffic. Firstly thanks a lot for dropping your great comment on my blog. Yes, content is always king. We need to write valuable content to get good rank on the SERP and also more traffic to our blog. Without High quality content there is no success. Wow! What a great advice dear, Den! Blogger Outreach seems works greatly. And, yes i read your Great article and commented on it you also replied! Really very useful article for every one who want get huge success on content marketing. Most thanks for adding more value in this article. Would love to see your valuable comment again on my blog, Dan! yeah, I agree with all your points completely; these 4 things on your list can greatly boost blog traffic. But the surest way of boosting blog traffic is Blogger Outreach; you’ve got to reach out to other bloggers to check out your post, but you’ve got to be sure you have written a really great post as no blogger wants to waste their time reading trash. So my advice would be to take the time to write a really valuable, useful and actionable post, then get in touch with bloggers in related reach to check it out. Some of these bloggers will share your post with their audience while others could link to you in their future posts; that’s the way to quickly get attention in the blogosphere and assert yourself as an Authority. Firstly thanks for your comment on my blog. Yes, targeting long tail keywords can boost website traffic without too much hard work. It is some hard to rank broad keyword because of there are so many competition on web for broad match keyword. In fact if we target long tail keyword in our article then it will easy to rank keyword in the SERPs. Anyway, thanks a lot again for adding more value in this article. Thanks for the article Minhaj. It’s an awesome article in support of all the Internet people; they will get advantage from it I am sure. I like to suggest “Long-tail keywords” as the one of best traffic building methods. It will give recurring traffic within 90-days.